Which is the Best Archer in The Elder Scrolls Online, Nightblade or Templar? After reading many ESO builds, archers are often played by Nightblade and Templar in the game. Some players have the question: which is the best Archer between the two classes? 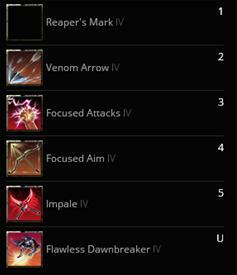 First and foremost, we look at two powerful archer builds. Both of them can deal sustained damage in battle. The Templar Archer has good AOE skill in PVE. Acid Spray is used to cause more DOT. When Stamina is low, Radiant Aura can add Stamina regeneration. The Nightblade archer is good DPS dealer in PVP battle. He mainly uses Stamina to cast skills. Reaper's Mark deals Debuff to enemies; Focused Attacks can causes Buff. 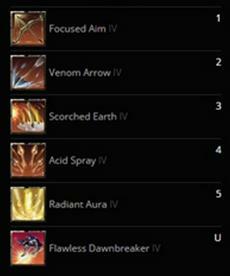 From the two archer build above, Venom Arrow and is the common bow skill in PVP and PVE. Focused Aim is to increase the power of the following bow skill; Venom Arrow can instantly deal poison damage to monsters, interrupt them; It also cause three-second stunn or enemies.